San José Olympian GODDESSES CR F.A. and Pérez Zeledón ANGELS F.A. San José TITANS F.A., Cartago DRAGONS F.A., San Ramon GIANTS F.A. San José TITANS Peewee F.A. and Cartago LEONES Peewee F.C. 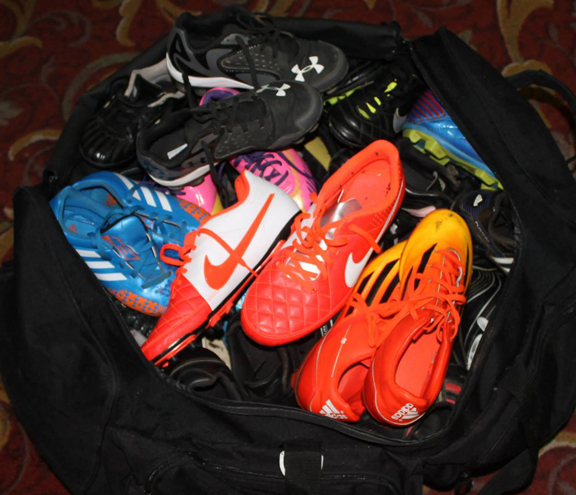 Athletes Without Borders donated 40 pairs of cleats to coaches of the Costa Rican teams to be distributed to players.